Large dinner and bar bills submitted by some of Norway’s top sports bureaucrats have sparked criticism, also from the top Norwegian athletes they lead. 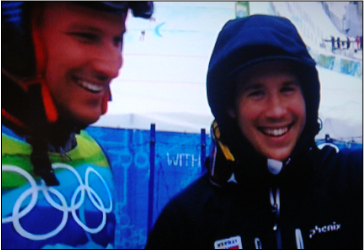 “I hope we don’t see more of this in the future,” said downhill racer Kjetil Jansrud. Expense accounts were finally released in more detail this week for those who run Norwegian athletics programs, which are financed largely by taxpayers’ money and lottery proceeds. Local media outlets had a field day reporting how, for example, the former secretary general of Norway’s athletics federation NIF, Inge Andersen, turned in a bill for GBP 6,247 (nearly NOK 60,000) that was generated by an event held at a restaurant in London during the Summer Olympics in 2012. The bill included 50 “set menus” for dinner plus 75 bottles of wine, 26 beers and a variety of other drinks. Newspaper Aftenposten reported on Thursday that NIF’s credit card was used in October 2012 for what the Norwegians call a nachspiel (late night party) for “Inge & Co, NIF’s board members,” some sponsors and others that amounted to NOK 6,070 (around USD 1,000 at the time). In January 2013 NIF’s credit card was charged for a dinner for nine people at Oslo’s exclusive Feinschmecker restaurant that cost NOK 7,605, with an extra bar bill that brought the total bill up to NOK 17,595. The bill was rounded up to NOK 19,000 with a tip. In August 2014, Andersen and four others on NIF’s support staff went out to celebrate how Birgit Skarstein won a gold medal at the World Championships in rowing. She wasn’t there, but the others ate and drank for a total of EUR 1,151, or around NOK 9,500 given exchange rates at the time. Andersen left NIF earlier this year amidst a storm of complaints over sports bureaucrats’ alleged power and arrogance over the years. He was also among those promoting a Winter Olympics in Oslo in 2022 that failed to win public support mostly because of the huge costs involved. Norway’s government minister in charge of culture and sports was among those demanding more transparency and accountability on the part of the men running Norway’s sports organizations from football to skiing. Andersen was among those who had appeared to resist turning over the athletic federation’s books. Andersen, who had been NIF’s general secretary since 2004, issued a statement this week through NIF’s communications chief noting that NIF is “a large organization with many assignments and activities both in Norwegian sports and as part of an international athletics family.” He said it was thus “natural” to meet “expectations” for presence at various meetings and events nationally and internationally. “The expenses I have had in my job tied to travel, accommodation and representation are within the guidelines and authority the athletics board has approved for the secretary general of NIF,” Andersen stated. He declined further comment on the grounds he has since resigned his post, saying any further comment would have to come from NIF. The practice that existed under Andersen and others over the years has clearly bothered athletes. Most of the money devoted to athletics in Norway “should go to the activities, to children’s athletics and a wide span of sports, which is what makes it possible to do what we do,” skier Aksel Lund Svindal told Norwegian Broadcasting (NRK) on Thursday. Both he and Jansrud, who have taken part in sports-related dinners and special events themselves, were careful to state that they didn’t have all the details in this case, and that representation is important among sports leaders. But they contended that athletics leaders “must think through” all use of money not spent on sports activities, “and whether it’s worth it,” Svindal said. Aftenposten reported that the lists of alcoholic drinks consumed at NIF’s expense over the years is long. 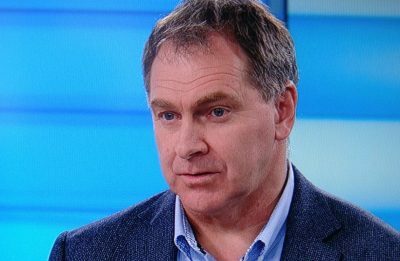 “It has been too easy to get refunds for alcohol from NIF,” conceded NIF’s communications chief Niels Røine. He said there has been “discussion” about that within the federation and that it has led to new regulations: “The starting point now is that no bills for alcoholic drinks will be refunded.” Exceptions can be made if approval is secured in advance.